Posted on March 11 in Bélanger UPT in the news! 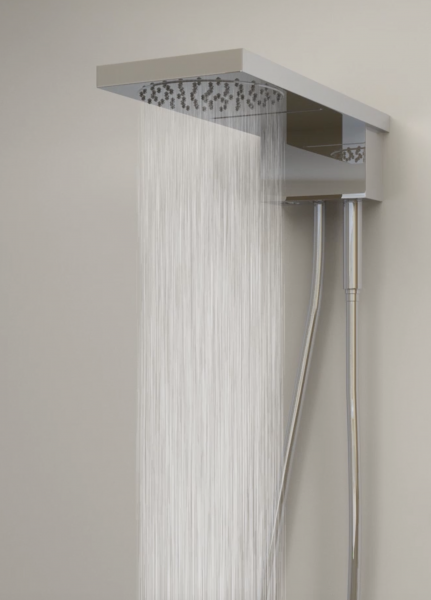 Belanger by Keeney has introduced the Symphony 3-in-1 versatile shower head that can switch between hand-held shower, rainfall (shown), and waterfall functionality. Users can change between rainfall and waterfall by inserting the hand shower into the coordinating space. The unit turns a two-way valve into a four-way valve, and can work in both new installations and retrofits.